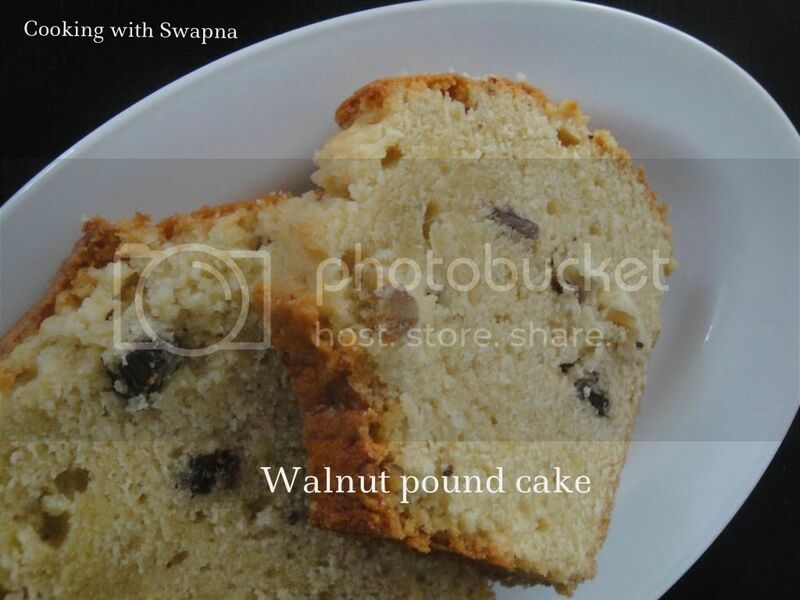 Pound Cakes are used as the base of many desserts. All trifles have some type of cake in them and its usually a pound cake. 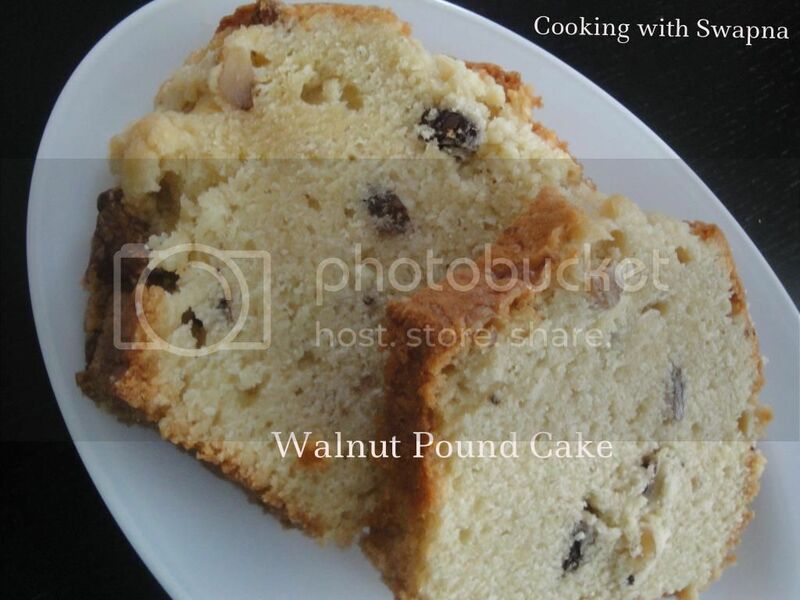 Pound cake slices can be used in french toast and bread pudding. Personally, I prefer mine lightly toasted and warm served with ice cream. Everyone should keep a pound cake on hand for that last minute dessert. They can be frozen for up to a year in airtight wrap. 1. Preheat the oven at 180 C and line up the baking pan with parchment paper. 2. Sieve together the cake flour, baking powder and salt. 3. Whisk together milk, eggs and vanilla extract. Keep aside. 4. Beat butter and half of the egg mixture. Mix in the dry ingredients on low speed. 5. Gradually, add the remaining egg mixture in 2 addition and finally add the chopped walnuts. Spoon the batter in the prepared baking pan. Bake it for 1 hour. 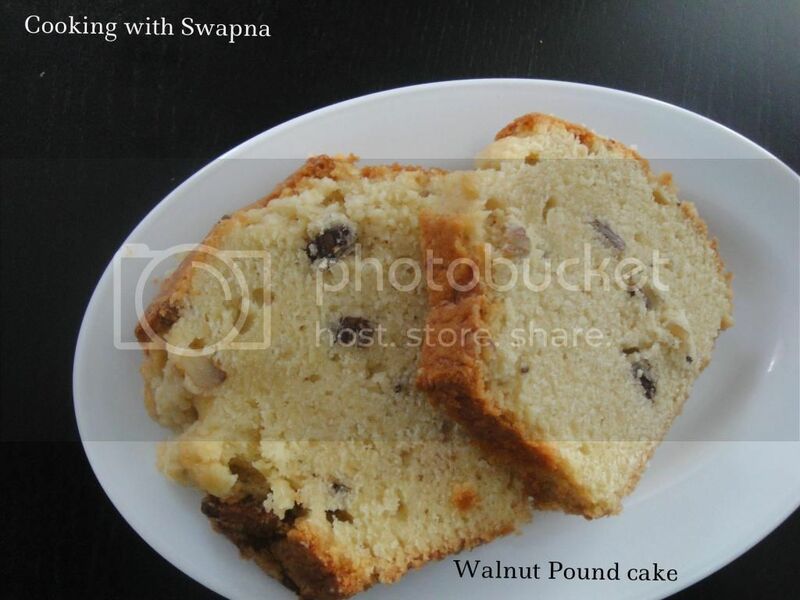 Cover the cake with aluminium foil after 30 mins of baking to avoid over browning on the top. Cover and store the pound cake in the room temperature for a week.